Offering you a complete choice of products which include niobium alloy rod bar, tungsten alloy rod bar, tungsten alloy sheet plate, tantalum sheet plate, tantalum alloy rod bar and molybdenum round bar. Niobium is a shiny, white, soft, ductile and paramagnetic metal, which takes on a bluish tinge when exposed to air at room temperatures for extended periods. It has a low density in comparison to other refractory metals, and it is corrosion resistant, exhibits superconductivity properties, and forms dielectric oxide layers. These properties, especially the superconductivity, are strongly dependent on the purity of the niobium metal. When very pure, it is comparatively soft and ductile, but impurities make it harder. 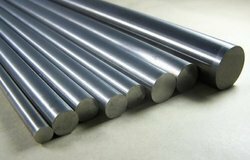 Niobium-titanium (NbTi) is an alloy of niobium and 44% ~ 48% titanium, which is used industrially for superconducting applications. Alloying niobium with 1% zirconium greatly improved the creep strength over the soft pure niobium and decreases slightly its elongation. The increased strength is very advantageous especially at temperatures above 600℃. 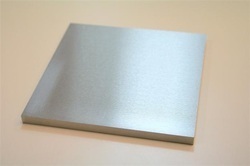 Due to its low thermal nuclear capture cross-section properties, the Nb-1Zr alloy has been closely associated with the nuclear industry, which requires specified elevated temperature strength in the range of 1800° F to 2200° F.
Niobium carbide (NbC and Nb2C) is an extremely hard refractory ceramic material, extensively used in tool bits for cutting tools and as refractory coatings in nuclear reactors. It has the appearance of a brown-gray metallic powder with purple lustre and is highly corrosion resistant. Many practical applications of Tungsten are based on its high melting point and density and its low vapor pressure. Tungsten is an excellent material for high vacuum technology, dimensional stability, glass seals and furnace construction. In addition, Tungsten’s high density gives it a capacity to absorb radioactive radiation. Tungsten has found wide use as additives to steel to enhance physical properties and an alloy with nickel, copper and iron to provide high density machinable materials. High temperature furnace components, glass to metal seals, heavy metal alloys, medical devices, welding electrodes. Tungsten wire has a wide variety of uses in a number of industrial applications, including lighting, radiation shielding, medical devices, support structures for power tubes, vacuum heating, evaporation sources in metallizing processes, office machinery, and others. 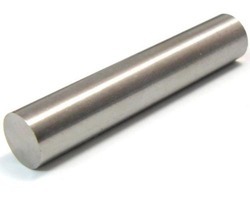 Among the properties of Tungsten are its high melting point of 6170° F (3410° C), a low coefficient of thermal expansion and low vapor pressure at elevated temperatures, along with good electrical and thermal conductivity. KATARIYA STEEL DISTRIBUTORS supplies the highest quality special purpose metals and alloys for Aerospace/Aviation, Defense, Electronics, Magnetic, Medical, Lighting, Optical, Telecommunications, Ceramics, Heat Treating, and other high-technology industries. Another major use of tantalum is for electronic components, and due to its absorption properties, tantalum is an excellent getter of residual gasses in evacuation tubes. Tantalum films provide very high capacitance per volume allowing miniaturization of electronics and circuitry. Tantalum capacitors are use in computers and cellular phones. Tantalum is also famous for its resistance to corrosion by acids; in fact, below 150?C, Tantalum is almost completely immune to corrosion by aqua regia. Due to its resistance to attack by body fluids, Tantalum provides an excellent material for medical devices. 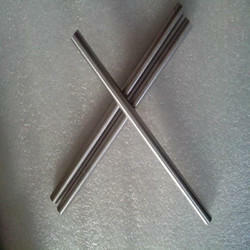 KATARIYA STEEL DISTRIBUTORS stocks Tantalum Rod and Sheet in a variety of sizes. Below are some of the standard stock items. If you require other forms of Tantalum products, please call one of our materials experts; our sales people are very knowledgeable and can assist you. We can cut, slit, shear, or center less grind Tantalum to your exact specifications, and we also have tremendous versatility when it comes to custom sizes, packages, and unusual materials. Katariya Steel Distributors is an importer & stockist of Pure Moly. We are specialist in Mumbai metal market for pure moly metals 99.9%. We are importer and stockist of Molybednium Material in pure grades in form of Wire, Rod, Pipe, Tube, Sheets, Plates, Flats, Strips, Flanges, Fittings, Nut Bolts, Sleeves. We will offer the material as per customers requirements as per cut size and as per required size. Empowered by our levels of exquisite professionals, we are offering a wide range of Molybdenum Fasteners. 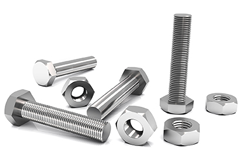 These fasteners are manufactured using the latest techniques and optimum quality material in compliance with predefined industry standards. The offered qualitative fasteners are tested by our quality examiners on various parameters of quality to ensure its functionality. 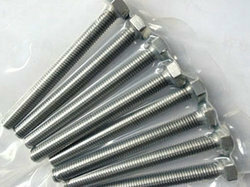 In addition to this, these fasteners are broadly used in various machines as a component. Molybdenum bolts possesses a very high melting point of 2620°C, a low coefficient of thermal expansion and a high level of thermal conductivity. Because molybdenum bolts have the ability to withstand extremely high temperatures without changing shape, expanding or softening significantly, they are ideal for high strength / high temperature applications that are shielded from oxygen. Exposing molybdenum fastener to oxygen above 600°C will cause them to readily oxidize. As a result, molybdenum bolts find their way into high temperature vacuum furnaces, glass production, military and space applications where oxygen is not present. Tantalum (Ta) is a dark blue-gray metal that is very heavy, ductile and hard and has high corrosion resistance. Tantalum is especially resistant to chemicals at temperatures below 150 °C and can only be dissolved with hydrofluouric acid. It has the fourth highest melting point of all metals and is able to form extremely thin and protective oxide layers for high-quality capacitors, making it an excellent material for tubes. • Used for the manufacturing of reaction vessels. • Used for heat exchanger pipes, condensers, bayonet heaters, helical coils, thermocouple and protective tubes, etc. · R05400, unalloyed tantalum, powder-metallurgy consolidation. · R05255, tantalum alloy, 90 % tantalum, 10 % tungsten, electron-beam furnace of vacuum-arc melt, or both. · R05252, tantalum alloy, 97.5 % tantalum, 2.5 % tungsten, electron-beam furnace or vacuum-arc melt, or both. 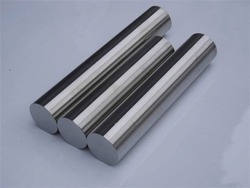 · R05240, tantalum alloy, 60 % tantalum, 40 % niobium, electron-beam furnace or vacuum-arc melt. Our tantalum tubes are carefully handled during storage and transportation to preserve the quality of our products in their original condition. 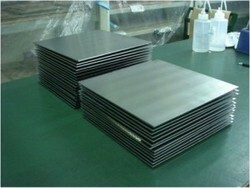 KSD specializes in stocking a large amount of Magnesium alloy Sheet & Plate. 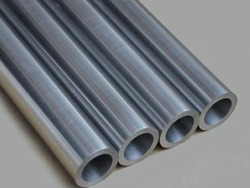 A medium strength Magnesium alloy used in sheet and extrusion forms at relatively low temperatures. 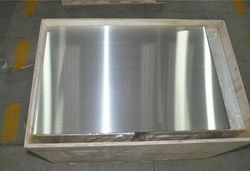 The alloy is weldable and can be formed easily. Good corrosion resistance. A medium strength general purpose Magnesium alloy containing Aluminium, Zinc and Manganese. The alloy is gas arc weldable. A high strength Magnesium alloy used in extrusions and simple forging forms. Aluminium, Manganese and Zinc are the major alloying elements. A high strength Magnesium alloy with good properties at elevated temperatures. Excellent corrosion resistance due to addition of Yttrium. TIG weldable and usually heat treated. A high strength Magnesium alloy close to WE43 in composition but with superior mechanical properties. Corrosion resistance and weldability are excellent. Usually heat treated. A high strength Magnesium alloy often used in forgings for relatively low temperature applications. Not easily welded and heat treatment is required to obtain strength characteristics. 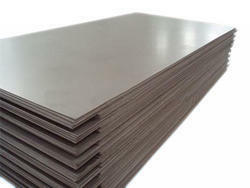 A medium strength Magnesium alloy used is sheet and extrusion forms. Fully weldable using the argon gas process and easily formed. A high strength Magnesium alloy containing Zinc and Zirconium. Mainly used in forgings and extrusions. This alloy is weldable in normal conditions. 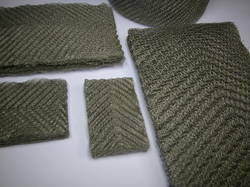 Knitted Wire Mesh is made from single or double wire off stainless steel that has been woven to form a flexible wire mesh that contains interweaved knots or loops for a fine structure that is similar to stockings or sweater. This particular interlocking of wires imparts a high tensile strength to the mesh and provides the required flexibility. The loops can move in a relative motion to each other without impairing the structure of mesh and giving it a two-way stretch. It can be used in a multitude of applications in several industries, majorly construction. The stainless steel used for the fabrication of SS Knitted Wire Mesh imparts excellent corrosion resistance, alkali and acid resistance along with heat resistance.